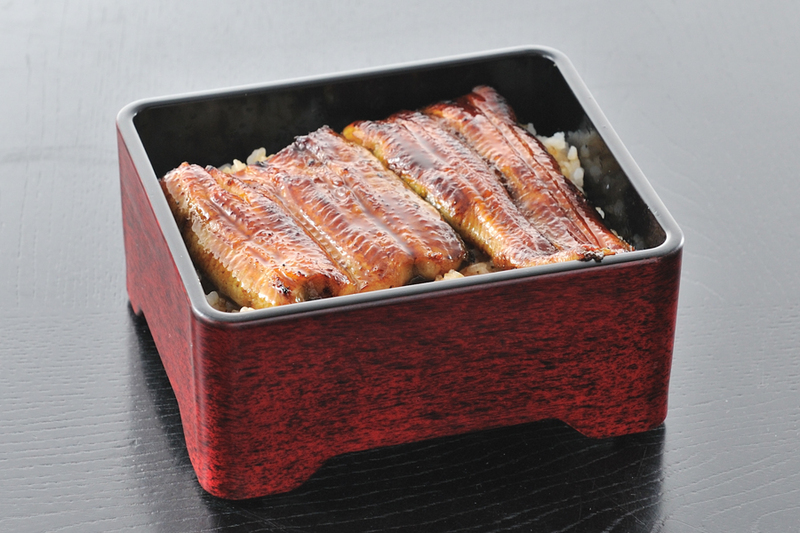 Eel( Unagi in Japanese) is said to be a stamina-giving food. 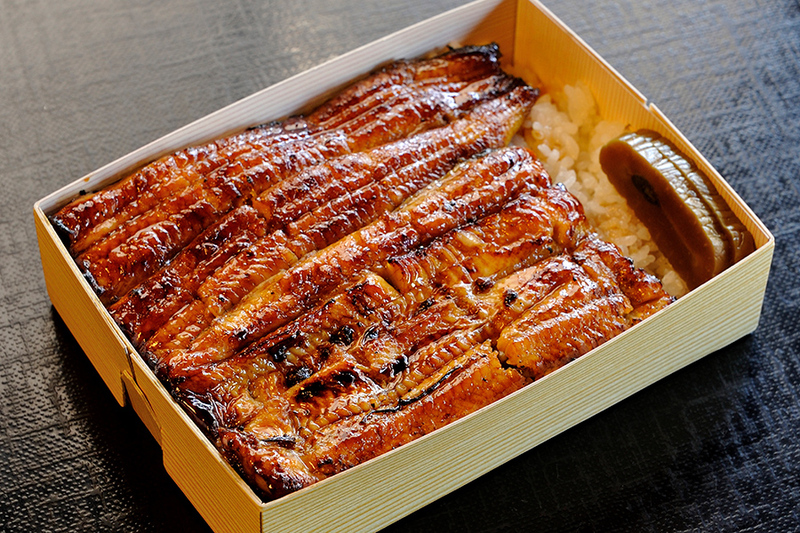 There are a lot of vitamins in an eel. 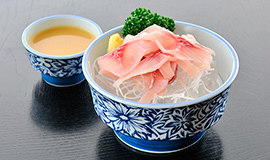 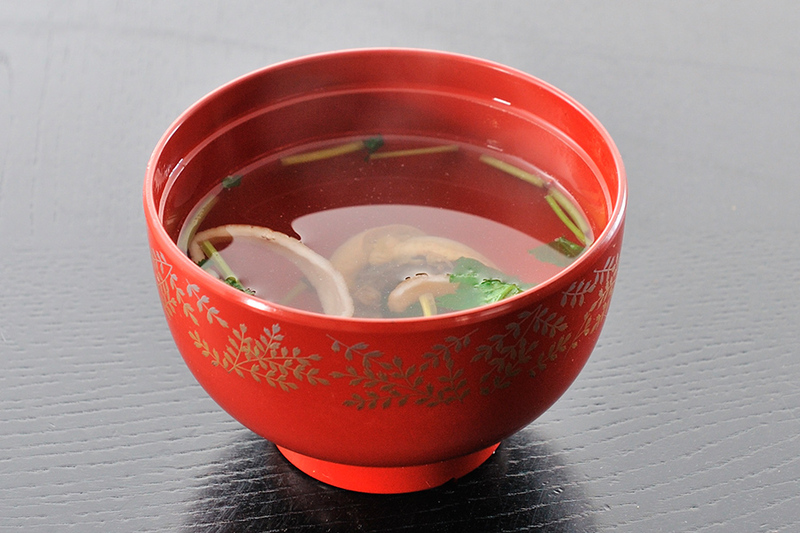 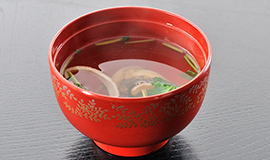 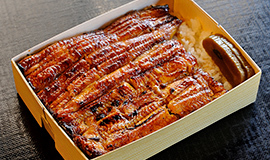 In Japanese culture, people eat eel in order to recover from fatigue. 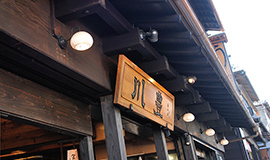 KAWATOYO is long standing store more than 100 years as a store specialized in eel-food. 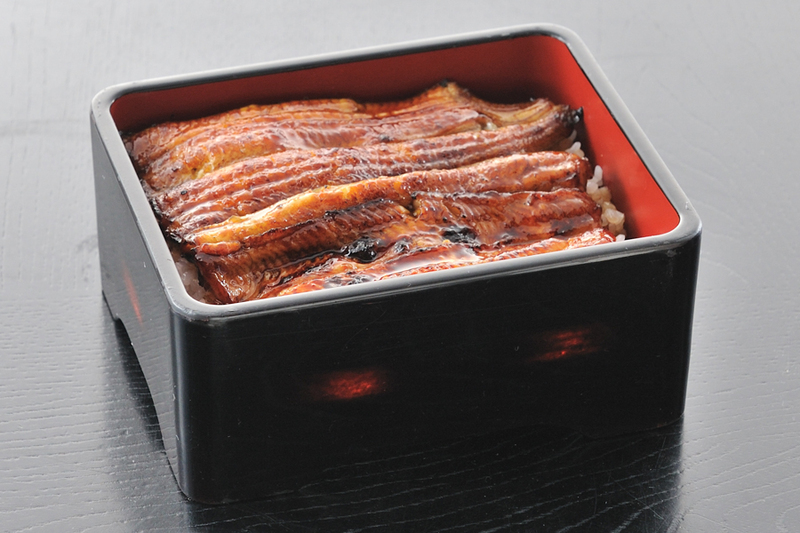 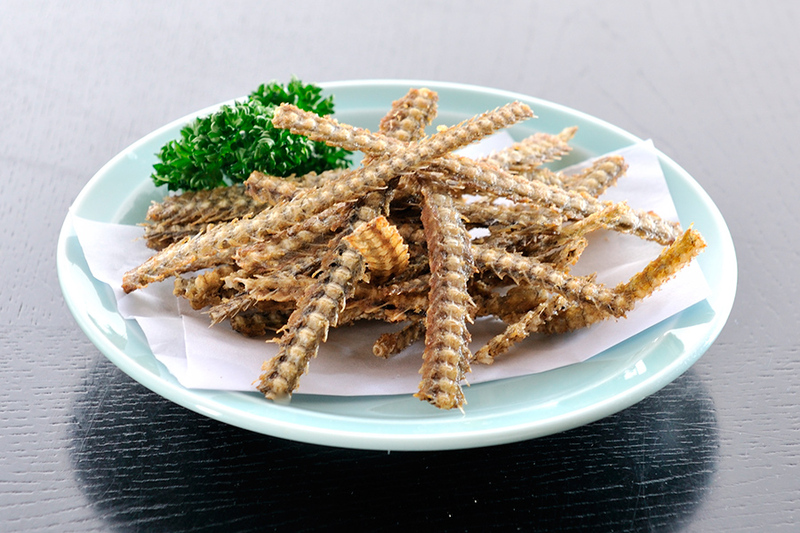 We serve you traditional eel food. 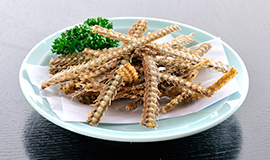 Please consume our To-go item within 12hours. 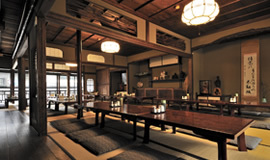 ■Please note that all seats are non-smoking. 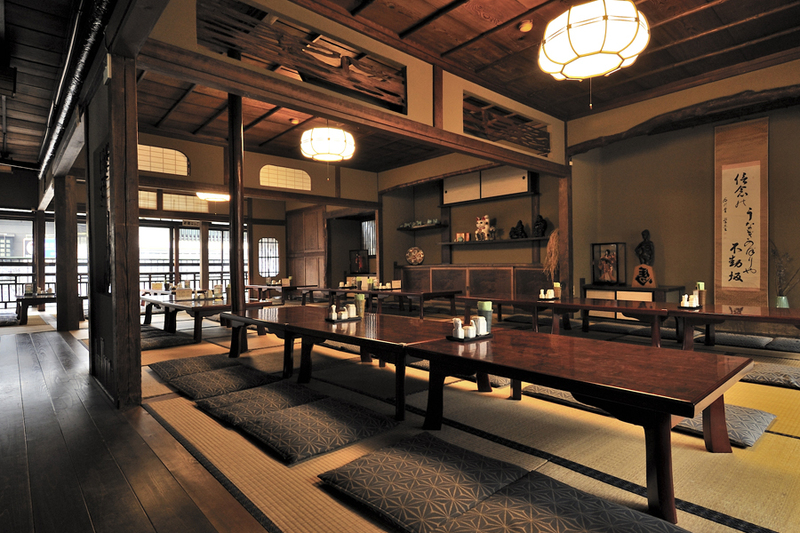 ■Please note that, during busy times, we may need to ask you share a table with other customers. 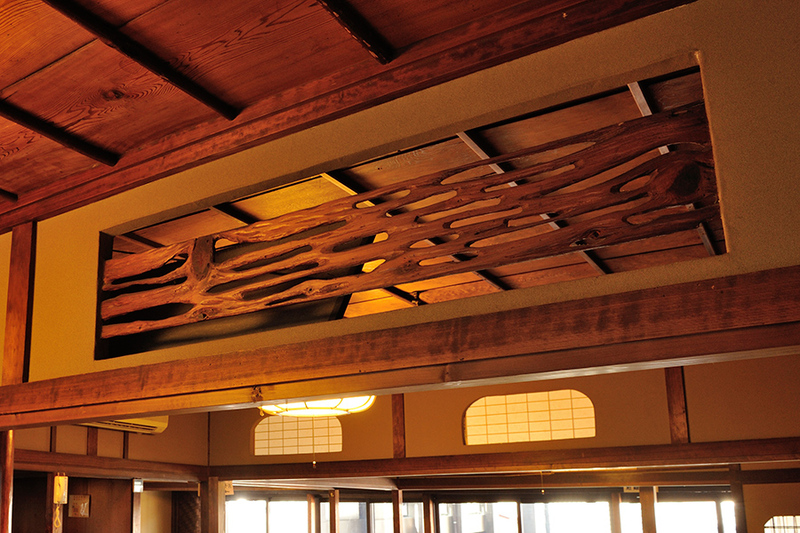 ●A large beam over 10m long and 55cm thick. 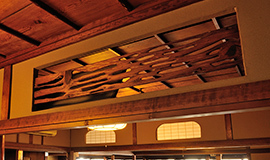 ●A Japanese transom window made of Japanese cedar, with pattern designs based on the tracks left by woodworms. 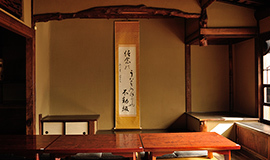 ●An alcove offering a completely Japanese atmosphere. 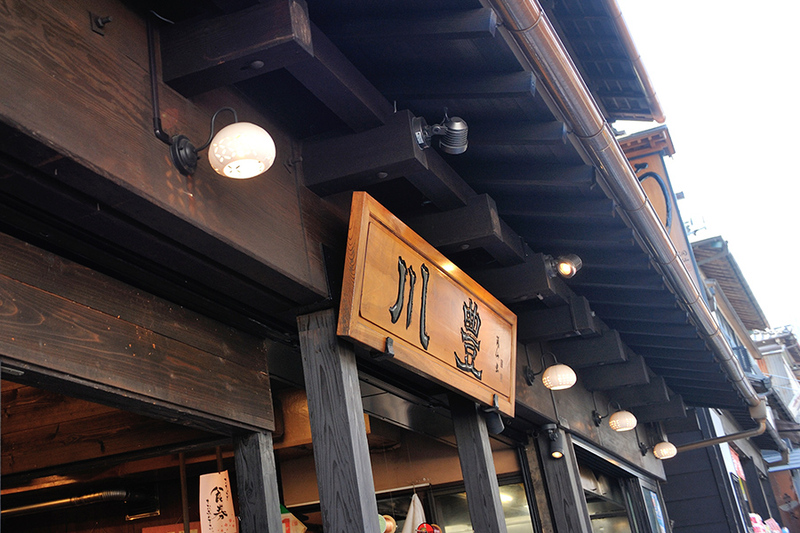 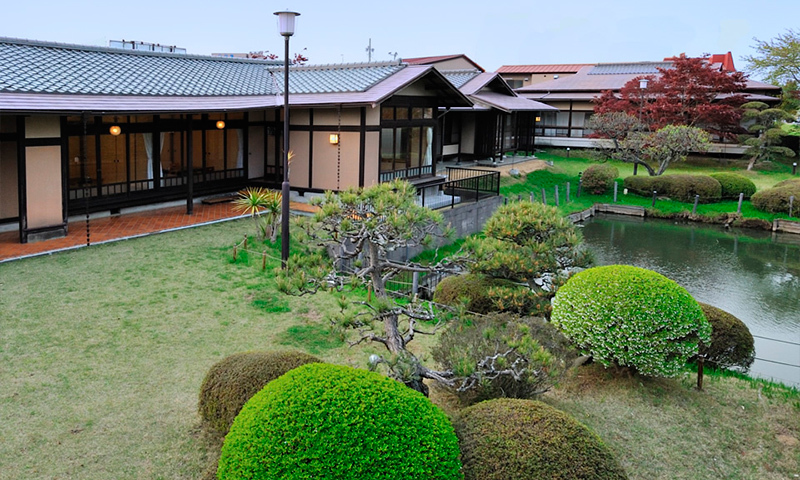 ■The oldest unagi restaurant in Narita, with over 100 years since 1910. Narita is home to Lake Inbanuma, the Tone River, and Naganuma. 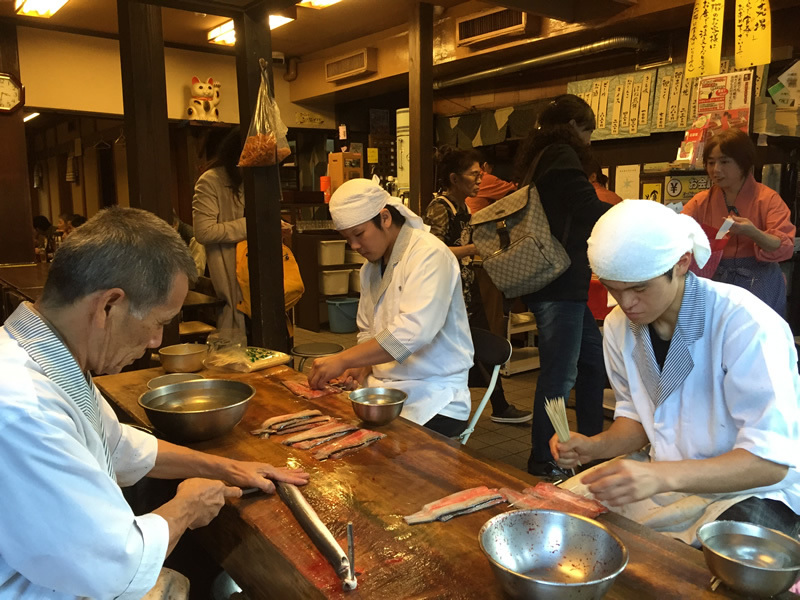 It is a place where once upon a time people could catch freshwater fish, such as eel and carp. 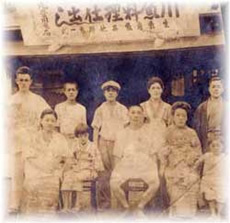 In 1910, our restaurant started catching freshwater fish and selling it wholesale near the approach to Naritasan Temple. 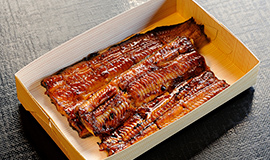 We also started selling kabayaki (grilled eel marinated in sweet soy sauce), and offering food and drink to our customers. 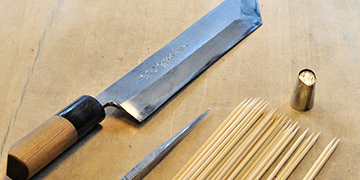 Even within the world of Japanese cuisine, unagi dishes are said to be so difficult that it can take a lifetime to learn all the necessary skills to prepare them. 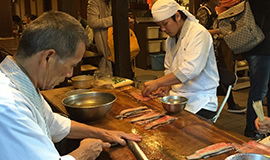 Kawatoyo chefs did their best to polish their skills in unagi cuisine, and passed on their unagi cooking skills to chefs of other restaurants near Naritasan Temple. 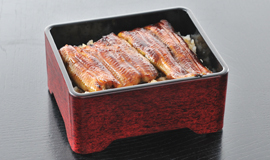 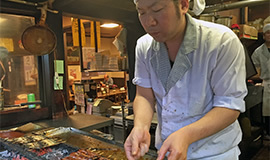 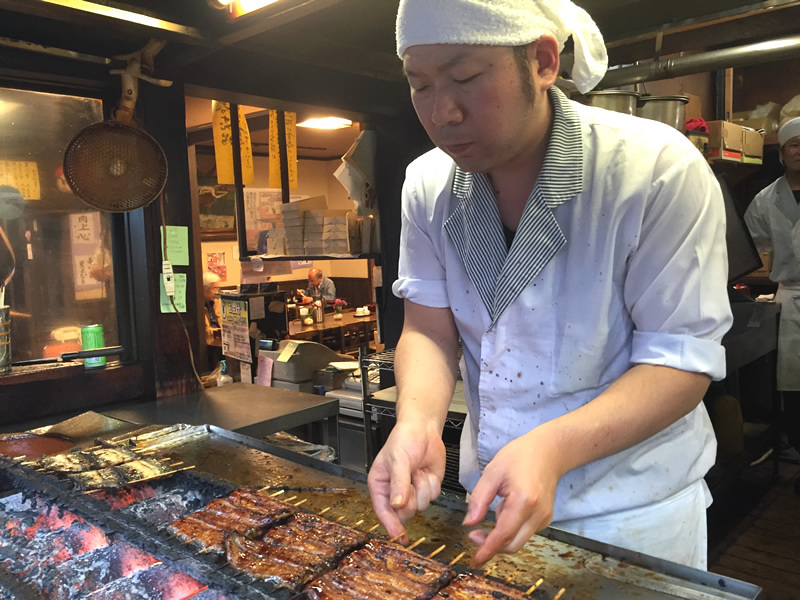 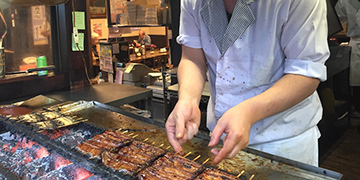 They contributed to the diffusion of unagi cuisine, and helped it to become a local specialty dish in Narita. 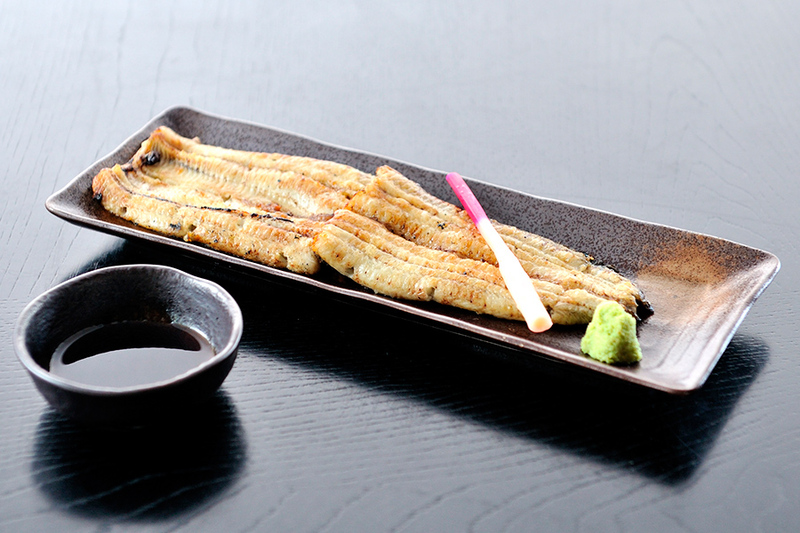 Our restaurant started out as an eel wholesaler. 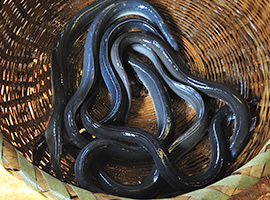 As a wholesaler, we have inspected a large number of eels over the years, thereby developing highly-skilled eyes capable of detecting good quality specimens. 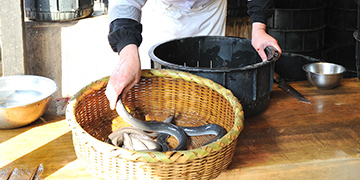 We use our highly-skilled eyes to carefully select the best quality eels for each season to be offered to our customers. 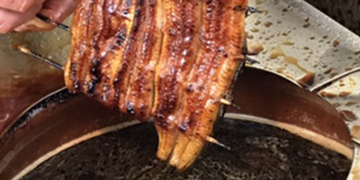 Under the guidance of the head chef, highly-skilled chefs with many years of experience cook eels right in front of our customers. 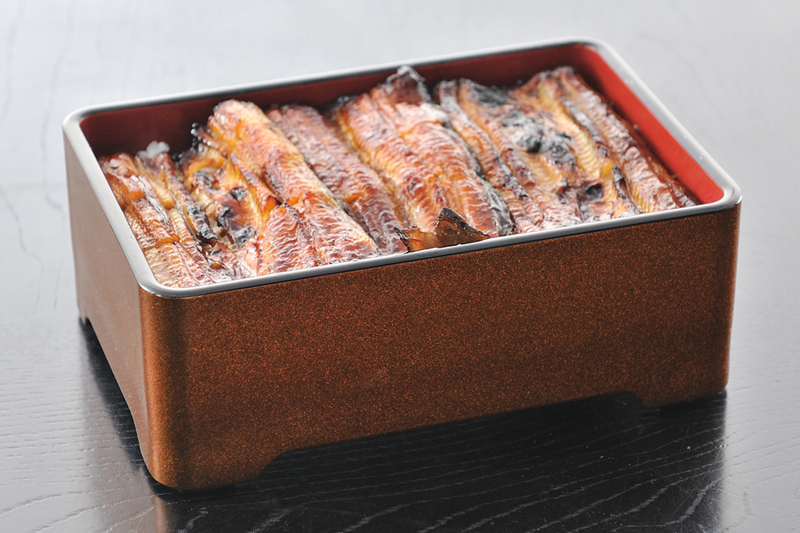 Customers can see how fresh our eels are. 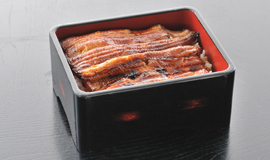 So, they can enjoy great freshness and fantastic flavors of eels. 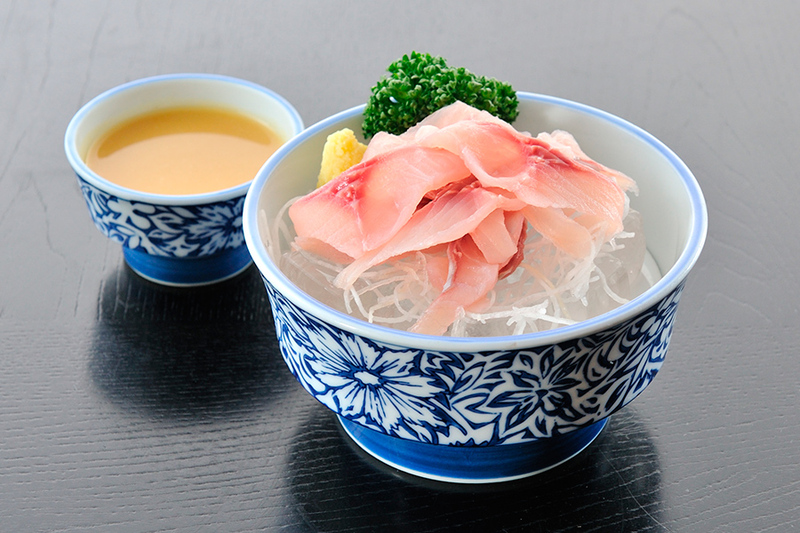 ■Since the establishment of our restaurant, we keep protecting the taste of our "secret sauce". The sauce is basted onto the kabayaki over and over again, making it blend itself with the juices from the eel, creating unique, smooth flavors with great depth. 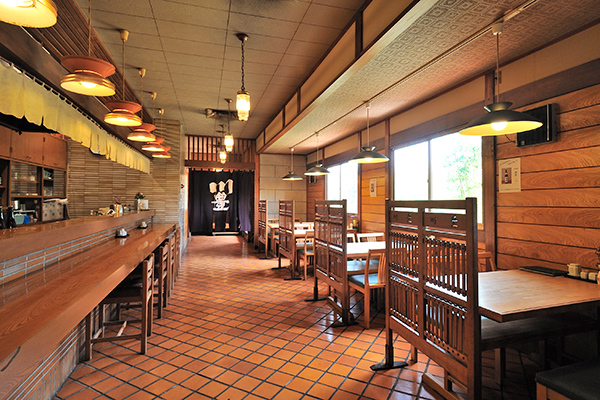 The large wooden board in our restaurant counter is one single plank of wood made from a huge gingko tree. 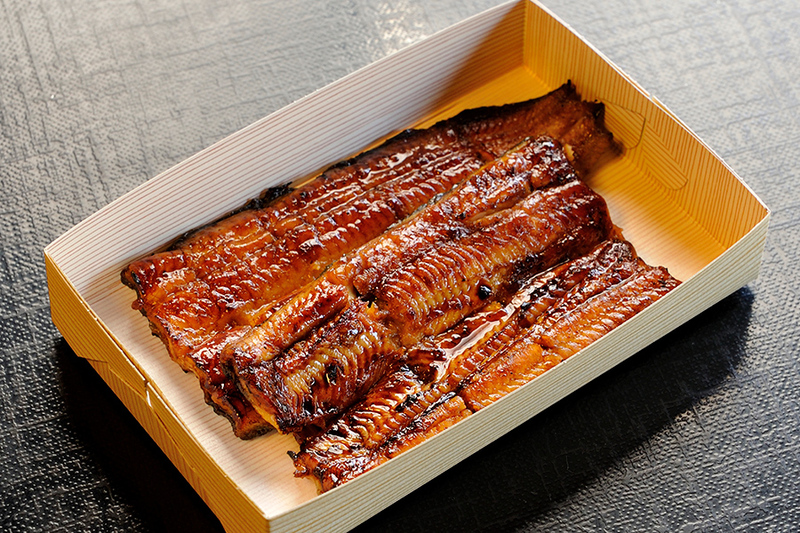 On this board, a large number of eels are prepared and skewered; and the damaged surface is shaved off every year. 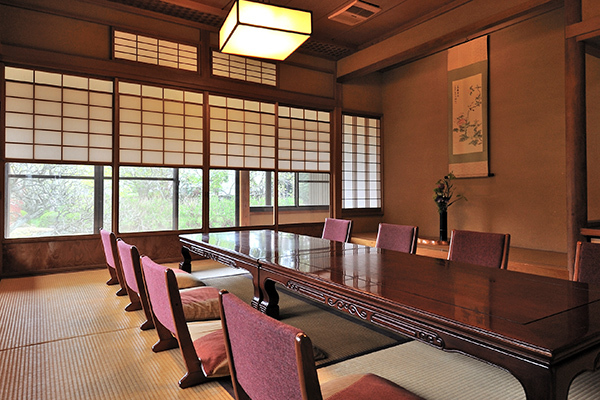 This board has represented the "Face of Kawatoyo" for many years. 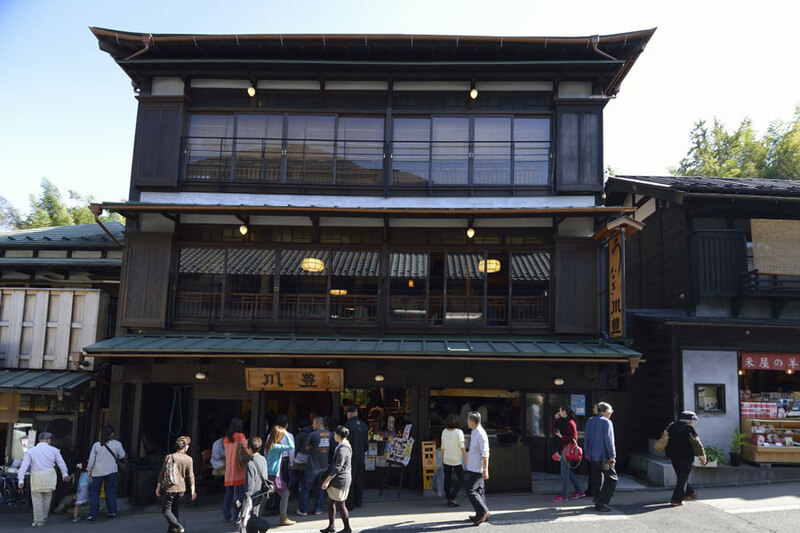 We are very sorry, but we are unable to accept reservations at our restaurant. 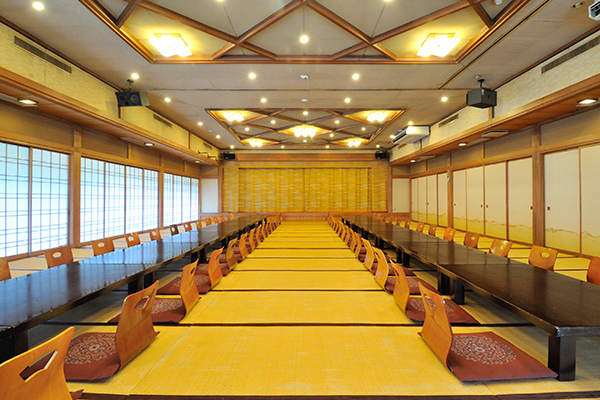 We allocate seats on a first-come first-served basis. 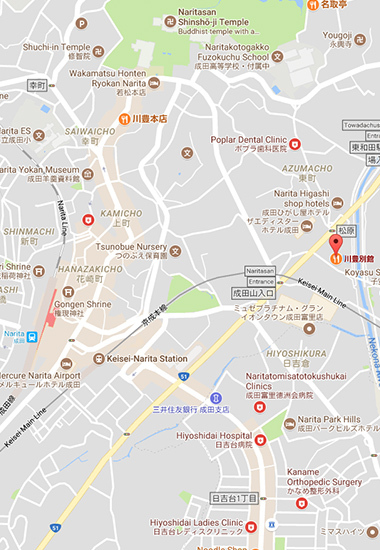 If you would like to make a reservation as a group, we recommend that you use the Kawatoyo Bekkan(+81-476-22-2727),our sister store, which is able to cater for banquets and private parties. 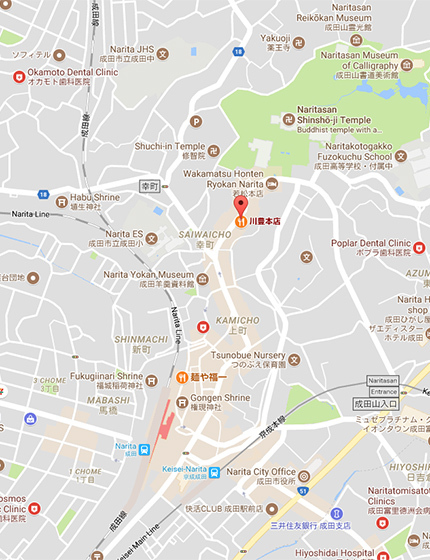 How do I get the numbering ticket when store is crowded. 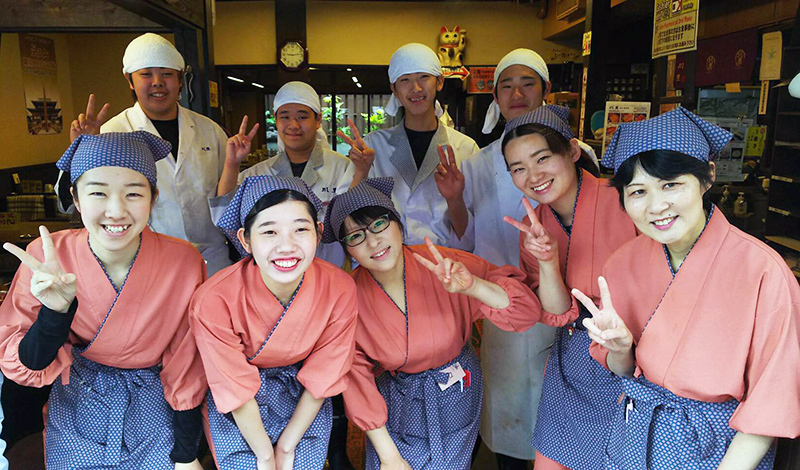 During busy times, we hand out numbered tickets to customers wishing to eat at our restaurant. 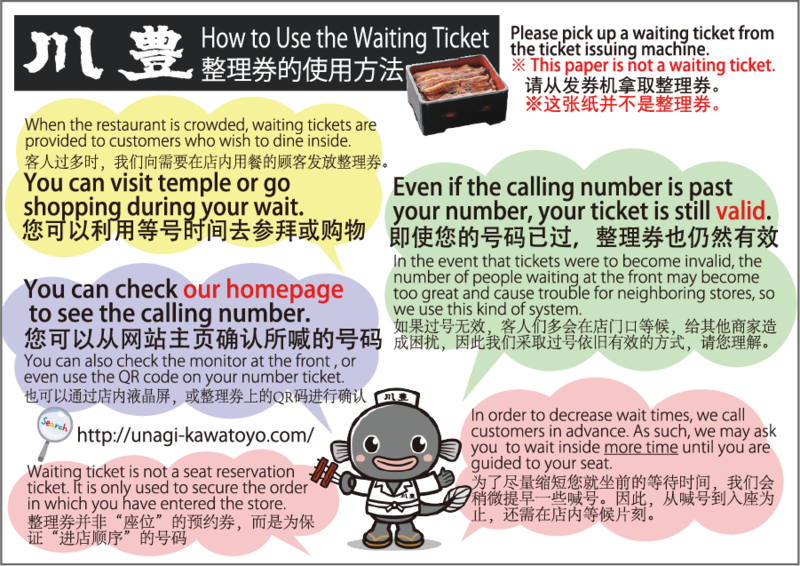 *Numbered tickets are not seat reservations. 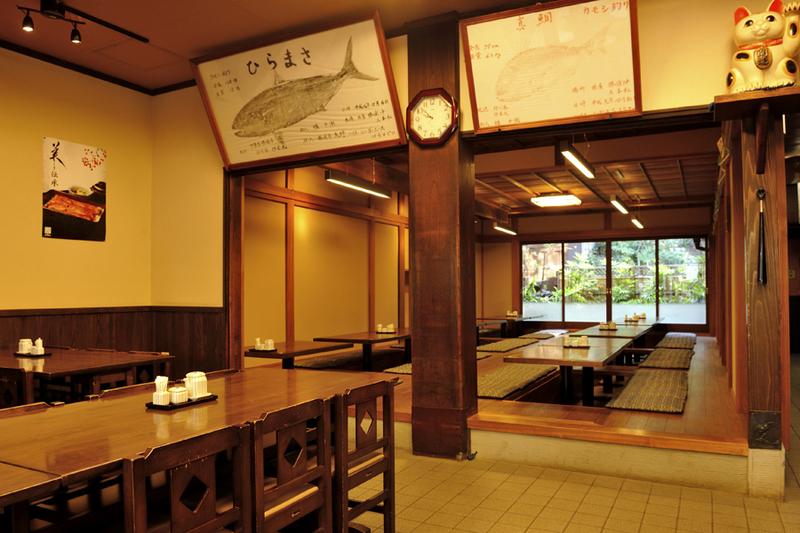 They simply set the order in which you arrived at the restaurant. 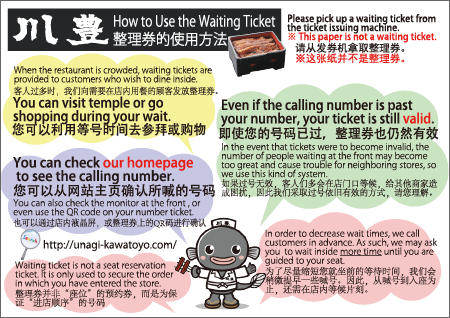 【1】Obtain a numbered ticket from the machine at the restaurant counter. 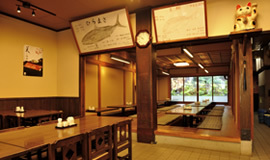 【2】The number that is currently being called is displayed both on the monitor located by the restaurant counter and on our website. 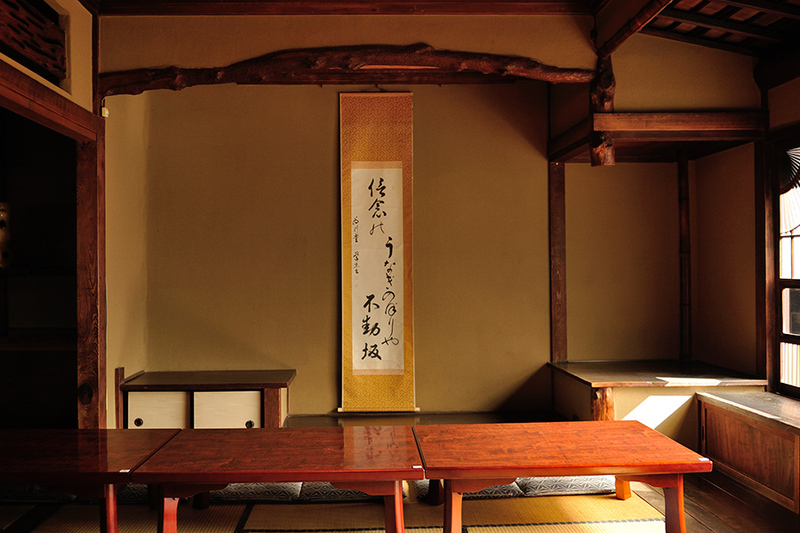 There is no need for you stand in a queue while you wait to be called. 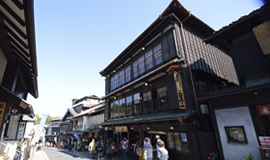 You may leave the restaurant to visit tourist sites, go shopping, etc. 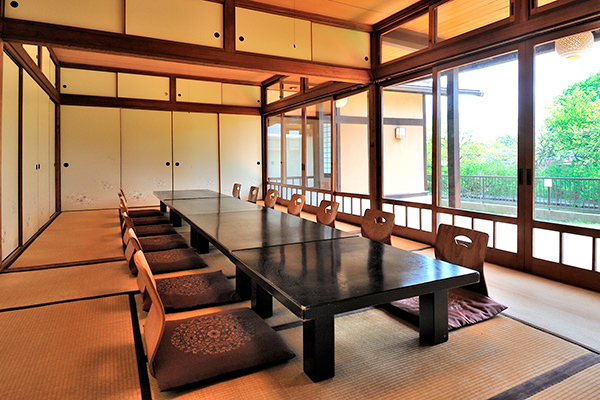 ※When the photograph is clicked, it expands.